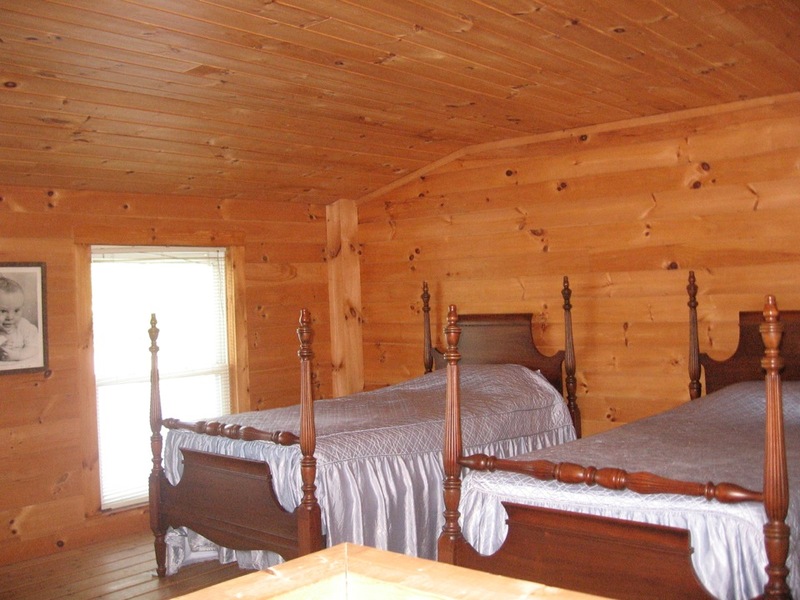 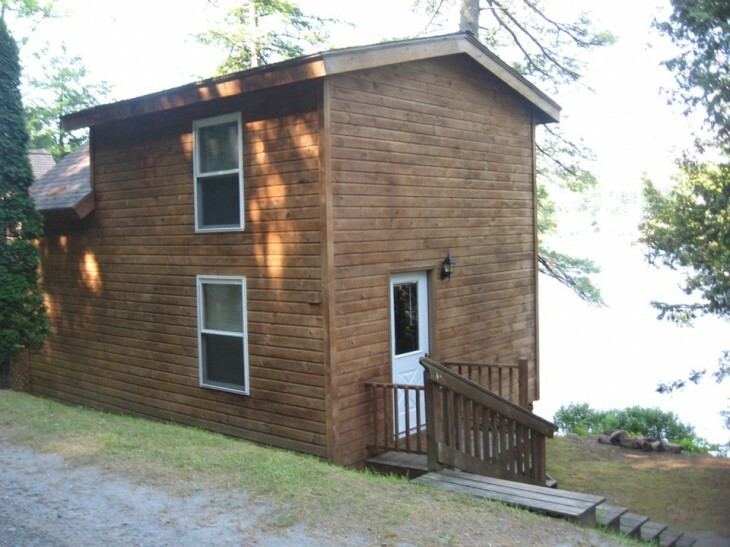 Built in 1992, in the same style as Cabins 1 and 2, this quality two story home has a cathedral style living room that is open and airy with wonderful views of the lake. 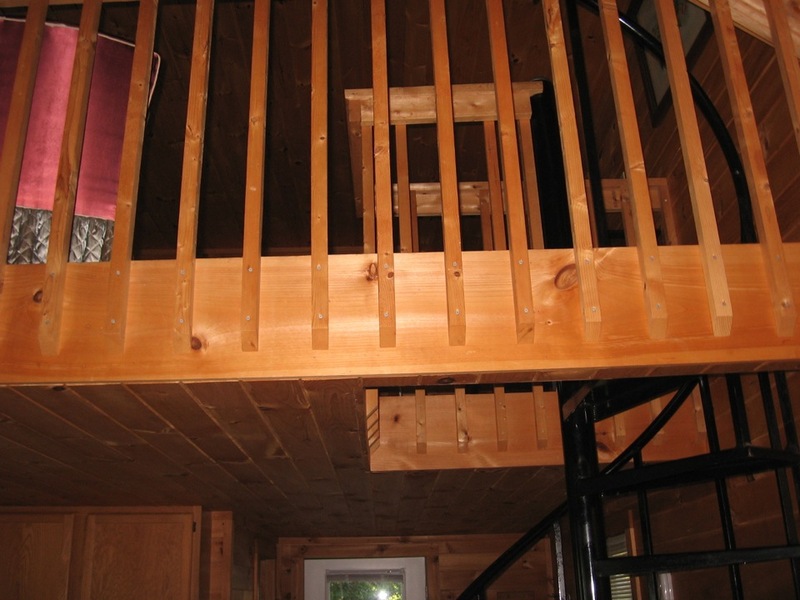 The spiral staircase leads up to a second story loft. 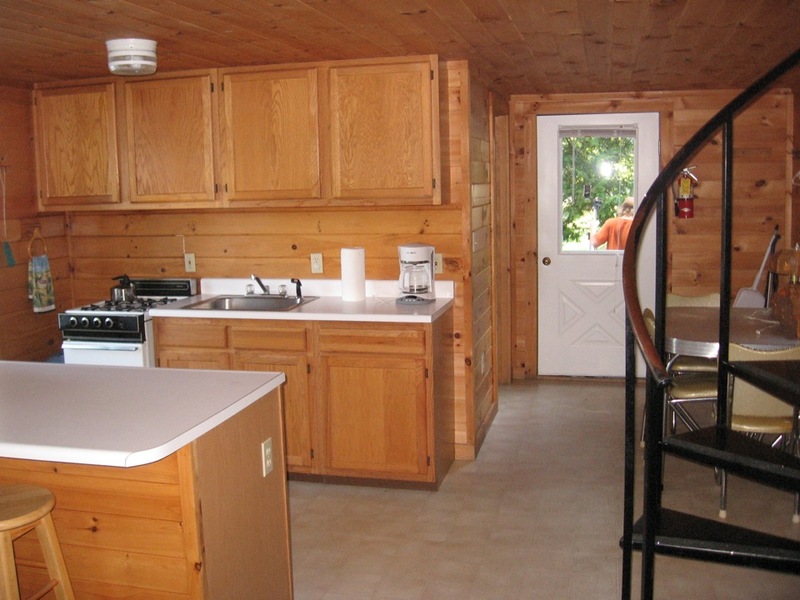 This home sleeps up to four people comfortably and includes a full kitchen and full bath room with shower.